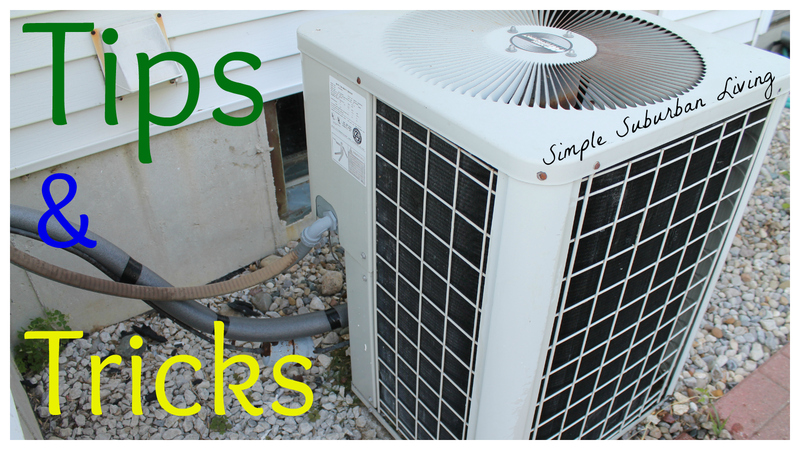 There are a few simple steps to follow when getting your home A/C unit ready to fire up for the season. The first thing to check is the outside condenser unit. This tends to get the most wear and tear since it is sitting outside. There are many different types of these units depending on where you live in the country or the world but they all have a few things in common. 1.) Check the electrical disconnect for wasps! They seem to love to get in here and make a nest so early in the year it is a good idea to check this and make sure no nesting has begun. You should also inspect the "Line set" or refrigerant lines connecting from the inside of the home to the outside condenser. The larger one should be well insulated from the outside air so make sure that the insulation has not come off or deteriorated. If so, replace with correct size rubber pipe insulation from your local hardware. 2.) Clean the condenser unit. The easiest way to do this is to use your garden hose. Start at the top and spray down at an angle toward the ground back and forth until you get to the bottom. Repeat this to clean and debris and dust from the fins on all sides. 3.) Moving inside the first thing to do is replace or clean your air filter depending on the type you have. If you are using the cheap ones like I have in our home you need to change the twice per season or four times per year. This is important! If you do not change the filter you are lower the efficiency of the unit and costing yourself more money! 4.) Turn off your humidifier if you have one. This usually requires doing two things. If your model has an air flow bypass there should be a damper that needs to be turned off. You also need to turn the humidistat off, usually setting to 0 or in OFF position. This prevents water from just running through to the drain all season long. 5.) The last thing that I normally do is balance the air flow to the house. This isn't as complicated as it might sound and just requires a bit of forethought and knowing where the dampers are located. Each air vent in your home will have a corresponding 6" pipe coming off of the main "truck" line duct. Each one of these should have a damper located near the trunk line. It is best to figure out where each one of these leads and then label them to make this process easier each year. For the cooling season you want to force most of the air to the upper floors of your home so it is best to close all dampers and registers that feed air to the basement. I also close off the ones leading to our bathrooms as I don't see the need to cool these tiny rooms where you don't spend much time (hopefully). I also reduce the air flow to about 50% to all of my 1st floor registers and then make sure all of the second floor are full open. Now if you only have one floor just make sure the 1st floor is all open and the basement is all closed. If you have trouble with humidity in the basement you can leave one or two vents open down there to keep the moisture down. If you follow these simple steps each year when you fire up that A/C unit you will be on the way to a much cooler and cheaper cooling season! It is also a great idea to raise the thermostat temp during the day or when you are not at home and then lower it at night or when you need the cooling the most. This can make a huge difference in your bill!.